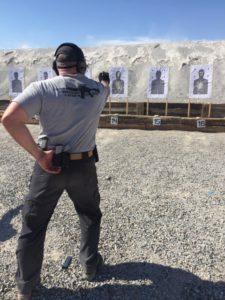 If you are planning a trip to Front Sight in Las Vegas Nevada or have heard of them and are not sure what they are all about, please read this review and I will give you some personal insight from my 9 firearms training courses I have taken. I will tell you right now that I recommend Front Sight, as you will see from my many return trips there. Front Sight Firearms Training Institute is a 550 acre training facility located near Las Vegas, Nevada. It is the largest firearms training school in United States with more than 50 ranges and trains over 1000 students every week. The goal is to take people from all walks of life and all skill levels, and train them to be more proficient with a firearm than 99% on the gun owning population. The most popular course by far is the 4-day defensive handgun course, which is designed for anyone ranging from someone who is never fired a gun all the way up to military and police personnel who already have gone through training provided by law-enforcement or the military. The difference between the 2 day and the 4 day is an extra day of practice, some fun drills and the Skills Test. The skills test is used as a guide to see where you are as far as proficiency at shooting at various distances as well as clearing malfunctions under time pressure. Depending on your score, you will receive a Certificate of Achievement, Certificate with “Graduate” status, or the coveted “Distinguished Graduate” Award. I have personally taken 9 courses at Front Sight over the past 7 years and I’m planning to go back every year as long as I am still able. I live near Philadelphia, Pennsylvania so getting to Las Vegas is quite a bit of cost and effort for me but it is well worth it. Read my article on flying with a gun if you have never taken your gun on an airline. As someone that has attended multiple courses over many years, I would like to share my experiences through several Front Sight Firearms Training reviews. I will be reviewing some of the other courses I took as well as this one. Also, for my in depth article on the gear you will need for the best experience at Front Sight, click here. When I first started to carry a firearm I wanted to learn everything I could and wanted to get some training. I found that there weren’t a lot of Firearms Training Schools on the east coast, and stumbled upon Front Sight. I noticed other schools charged $1,000-$2,000 for a course, but Front Sight was offering a membership for $300! I thought it was too good to be true, but I did not have a lot of money, so I checked them out and decided to take a chance and see for myself. I attended the 4-Day Defensive Handgun Course on June 13, 2011. I traveled to Pahrump, Nevada by myself, not sure what I was getting into, but I was not disappointed! I found that the training was a lot more than I expected, the Staff was extremely knowledgeable, and my skills and knowledge improved tenfold. I have taken the 4-Day Defensive handgun course 5 times, each time I brought one or two friends and relatives with me. I have also taken the 2-Day Practical Rifle course, Tactical Handgun and Advanced Tactical Handgun. If you have any questions at all about Front Sight or the courses I have taken, please leave a comment below and I will answer every one of them. Front Sight sounds huge, how big are the classes? Front sight routinely trains hundreds of students per day. Each class in the 4-Day course can have up to 40 people in it, paired up so half are performing the activity while their respective partner monitors them for safety and proper form. They use the Coach/Student platform, which I think works extremely well in this setting. Related Article: Front Sight Firearms Training Institute Preparation: Gear- What Should you Bring? If large classes concern you, fear not, as there are always plenty of instructors right there with you to help you one on one as needed, and they are always watching for safety issues. 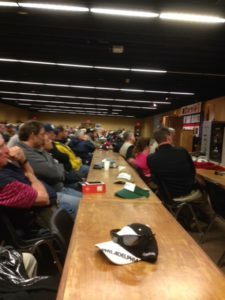 What Kind of Gun Training does Front Sight Firearms Training Institute Offer? Front Sight has recently added armorer courses for 1911s, Glocks, Springfield XD and AR 15. They also offer 2 and 4 day rope and rappel classes, empty-handed defense, edged weapons, and several children’s and youth safety courses. Who Would Want to Take the 4-Day Defensive Handgun Course at Front Sight? My opinion is than the answer to this question should be, “Everyone!” However, I realize than gun training is not for everyone. I also realize that Las Vegas is not close to everybody! Gun training at Front Sight is definitely for anyone who owns a firearm for self-protection, anyone who carries a gun as part of their job, or simply anyone who is not completely comfortable around guns due to lack of knowledge on their safety, care, and use. Whether you have been trained by the US military or have had no training at all, Front Sight will help you become proficient in the defensive use of a handgun. You will find all sorts of people attending training here. I have seen lots of men and women who come alone (as I did twice when I was unable to find a companion), married couples, unmarried couples, entire families, clergy, police and military men and women, kids as young as 15, and adults in their 70’s. One year, a police officer attended with me and he was very impressed. He said the training was far superior to what he was taught on the job, and has since taught classes to his fellow officers. I took my cousin and his son-in-law one year, my son-in-law two tears in a row, and a coworker yet another time and they all plan to go back when they are able. If you are not sure if you will fit in, I can assure you that is not true. Also, worth noting, If you come with other people, the friendly Front Sight staff will be sure to put you all in the same class as class assignments are done upon arrival. Is it Safe at Front Sight? This is a valid question. After all, most days there are literally hundreds if not a thousand people from all walks of life walking around with GUNS on their belts! I am not aware of any incidents at Front Sight involving one person shooting another. As you might expect, with tens of thousands of people shooting all day long for years, there have been a few accidents. They usually involve someone shooting themselves in the foot or leg trying to go too fast when holstering, or otherwise not paying attention to what is being taught. I was present in 2013 when someone on the range next to mine managed to shoot himself in the leg while reholstering his .45 too fast. He was more angry with himself than anything, because he knew better, and the instructors CONSTANTLY remind you to always re-holster SLOWLY! There is never a reason to rush your gun back to the holster. This gentleman made a full recovery as I read about it later. Accidents will happen anywhere, but are very rare at gun ranges in general, and this holds true at Front Sight, as the staff is hyper-vigilant about safety. Here is an article discussing why gun range accidents are exceedingly rare. 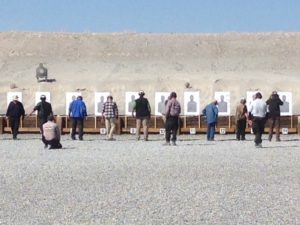 What Does the 4-Day Defensive Handgun Course Cost? The cost for this course is far less than you would imagine. This kind of training is worth $2000 at most other top-notch gun training schools. Front Sight does things differently. Front Sight charges far less for the course and makes their money selling Ammo, items in the Pro Shop and Memberships. If you go to the website you will see deals as low as $200 for a 4-Day certificate! I can also help you get discounted memberships or course certificates. What Will you Learn at Front Sight? You will spend time learning both in the classroom and on the range. First and foremost you will learn gun safety. See my article on the 4 rules of gun safety. If there is one thing that is pounded into your brain at front Sight, it is gun safety. Once you see the way the staff and his safety and safety issues, any concerns you may have for your well-being quickly disappear. Below I have listed some things you will learn. While in the range, you will first sit in the seats and listen to the instructor (usually with a healthy dose of humor) teach a particular skill. Then you will get up and actually practice what you just learned. As the days progress, you will learn new things and practice the things you already learned. You will be shooting a LOT! You will get very good at everything you learn in a short period of time. Malfunction clearing See my articles on clearing Type 1, Type 2 and Type 3 malfunctions. and way too much more to list here. Color Code of Mental Awareness and the Combat Mindset. 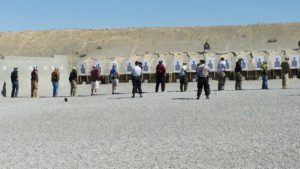 Here are, in my opinion, the good and the bad regarding taking training at Front Sight Nevada. Front Sight Ammo Bunker is on site so competitively priced ammo is always available. With a membership, you can attend as many courses as you want. Easy to Book a Course usually with 2 weeks notice. I think by now you can see that I am a fan of Front Sight. I have spent many thousands of dollars to attend training here (most of it was spent on travel and ammo) over the years, and plan to continue. I will be focusing on shotgun and rifle classes as well as handgun skills over the next several tears. I recommend checking them out, and if you need training, please consider them, you will not be disappointed! Here is the website. I am not affiliated with Front Sight in any way other than the fact that I have a Membership. I do not receive any money or perks of any kind from Front Sight for giving them positive reviews. Please ask any question or leave comments below and I will reply to every one of them. You may also email me at dave@kydexowbholsters.com. Hi and thanks for the info. I am sure it will be appreciated by many hun enthusiasts. Although I am in the U.K. and do not have the right to own a gun, I have travelled to Thailand before and been on a practice range in order to have the experience and can say it is so refreshing to find professional standards in such places. Thanks again for your review and I wish you all the best. Kenny, thanks for the comment! I think that anyone that is going to be carrying a firearm should get some professional training, and I have found that Front Sight is an excellent place to do just that. What are the gun laws like in Thailand? I had no idea that such a training site existed. Front Sight Firearms Training Institute sounds like a super good idea and organization. Having been in the military for 25 years and dealing with weapons on a regular basis in a variety of environments, I know the importance of knowing how to handle a weapon and also how to operate it safely around others. What I like about this particular training is the focus on the civilian use of the weapnons. It seems to me that having untrained people with guns who may be around other people, in bars, churches, or schools is asking for trouble. I know that we controlled use and handling of weapons religously in the military, with reason. Particularly for those that are buying firearms to protect themselves in the civilian world, this training seems to make so much sense. Unless you know what you are doing, it can be easy to make a mistake and shoot yourself or worse someone else unintentionally. As a kid, before entering the service, the state had mandatory training that we had to attend, and at the end we had to pass a test, hands on and written, before we were allowed to get a hunting license. But there was nothing against plinking around the yard or in the woods back then. I was glad to find your article on this, and I have bookmarked it for others. From time-to-time, due to my background, I am asked by cicilians that have never been in the military how they can get some of the training as I received while in. Now I have a good resource and review to send them to. Having a reasonably priced set of programs for people looking to learn how to get around guns is a good idea for sure. The more people that get the proper training, the fewer accidents are likely to take place. This includes everyone that handles a gun too. Even police officers can likely learn something at these courses. Great write up and explanations, and most cerrtainly your enthusiasm and experience shows through in a good manner with the information you have provided. I hope thousands of people see this and take action to get the proper training for their weapons! Dave, thank you for your insightful comment. And Thank you for your service! I agree with you regarding untrained people carrying guns. It is a huge responsibility to decide to live this lifestyle, and I believe training is necessary. I don’t go so far as to say it should be mandatory, because I believe the second amendment guarantees the right of all citizens (excluding felons and the mentally unstable) to protect themselves up to and including deadly force when appropriate. In the future I will be heading to Nevada to take this course, although I am familiar with guns and gun safety, (I have taken a couple of local courses) this sounds so much better. It might take me a year to get together the funds to be able to attend this but in the meantime I am going to bookmark your website for some other people that I know are going to be interested in going with me. I am so interested in the classroom experience that I think will enlighten me on gun safety and other things I am lacking in. Loving the shooting ranges around where I live which is in the woods I am sure this one is going to be much larger and harder to complete. Susan, thank you for the comment and taking the time to read my review of Front Sight Firearms Training Institute. I hope you are able to go there next year. You will learn so much information, and you will be challenged to consider things about self defense and deadly force you have never thought about before. Even those that have never fired a gun before leave this course with skill and confidence with a handgun. You will be amazed how proficient you will be! Hi, in my opinion you have an excellent website here, good variety of products to review and promote here. Seems like you may have many ways to expand your product line a bit, such as gun cases and other accessories, if you haven’t got plans for that already. You definitely have your eye on the target (see what I did there, lol) have fun and good luck. James, thank you for checking out my website and leaving your comment! I am adding gun gear reviews and training tips all the time! Check back soon ! 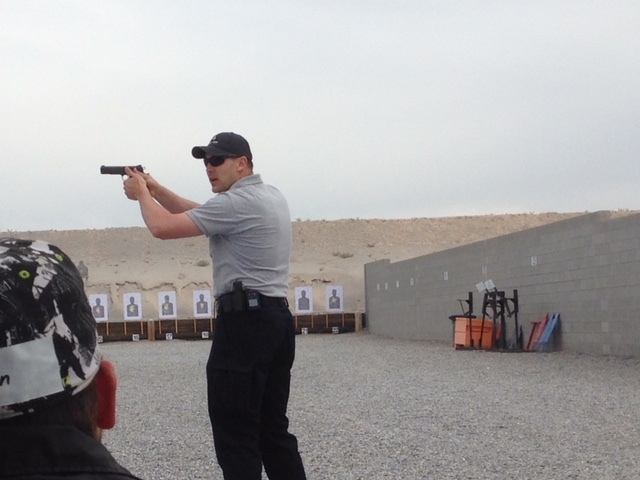 Thank you for writing this excellent review on Front Sight Firearms Training Institute. I am also interested in learning how to handle a gun as I have no prior experience. I guess I’ve always been afraid of carrying a handgun or what I might do with it if it is readily available to me. I don’t know much about the safety requirements and have no desire to get into a shootout. At the same time, I know there are many dangers in this world and realize that this type of training can be very useful and possibly save a life. I like that you were able to take this training yourself and explain to us the process that a member goes through. It seems like a safe way to learn as there will be other instructors there and it would not be smart to shoot someone at a gallery full of armed people. I like that you broke the program down into the costs and your prior experience with other training institutes. Do you know if they have a training school in Houston? I know there are other ones in the area, but not sure of which one is really worth it in terms of quality. It looks like this program is the real deal the way you describe it. I appreciate the information you have provided and will look into attending it myself in the near future. Daniel, Thank you so much for reading my review and taking the time to comment. Front Sight has locations in Nevada and Alaska currently, but nothing in Houston. I’m sure there are excellent firearms training schools somewhere near Houston. 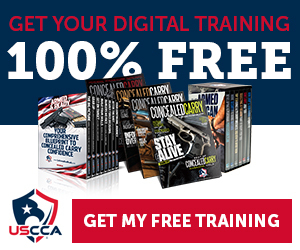 I always recommend training for anyone who owns a gun or wants to carry one for self-defense. thanks for such informative and interesting article, I’ve really enjoyed reading and learning something new today! As far as sight firearms training institute goes- I have to say I am really impressed by it. I will start off by saying that I’ve always wanted to learn how to use firearm correctly and how to shoot well. The whole idea of shooting really excites me because I am truly keen on activities which focus heavily on accuracy, precision and timing. And shooting combines perfectly all of those things together. I would mostly be interested in trying out Uzi sub machine gun, because I am really curious to discover what does it feel like to shoot weapon with such high rate of fire. I would also love to try shotgun out because I want to see how bad that recoil is, haha! I did try shooting with pistol in the past and I’ve really enjoyed it, therefore I would also love to attend professional courses which would teach me from ground up how to use it properly. I am very glad to know that Front Sight Firearms Training Institute are very professional and are highly reputable, that truly says a lot about them. I also really admire that the membership is one-time fee which allows a person to attend as many courses as You want. That’s truly a great deal! The fact that here, at FSFTI they not only teach how to use a gun, but they also educate about different types of ammunition there is and provide other very interesting and valuable information regarding guns and their attachments got me very pleasantly surprised . However, one big drawback for me is the fact that classes are very large and contain to up to 40 people, that’s a bit too much in my opinion, 10-15 people classes would be better in my opinion because everyone would get more attention & time to ask questions & practice. Judging from Your article it does truly seem that they offer high quality lessons and practices, great stuff! The variety and amount of different types of courses which they have to offer is just insane! And these various courses are just packed with content, I’ve honestly never seen such courses which include absolutely everything that a person would wish and want. I would love to be a part of their community one day! Evans, thanks for reading my review and taking the time to comment. Yes, Front Sight offer quite a catalog of courses and I hope I live long enough to attend a lot more of them! The information in the lectures alone is worth attending! This is very interesting. We have some firearms training available near where we live, but I haven’t heard of anything that big. We have used whatever opportunities we have found so far to practice and improve our skills. Front Sight looks very helpful. I like the idea of pairing up so that one person monitors the other person while they do the activity, as well as the fact that Front Sight helps people with any experience level. One question: What age restrictions would there be? (More specifically, what training would be available to 16 or 17-year-olds?) I have bookmarked this site. Thanks! 16 to 17 years old, welcome to take regular firearms courses alone as long as a parent or guardian is onsite; parent or guardian can be enrolled in a different course or on a different range.Minimum age is 11 if taking the course with a parent or guardian. The parent or guardian MUST be the one working with the child during the entire course, and be responsible for only ONE child.Children age 10 and under are not allowed. Everyone that owns a handgun should take a comprehensive training course for that specific weapon. I live in California, but my Aunt (sadly she passed away) used to live in Pahrump, Nevada. I’m surprised I’ve never seen this course. It’s definitely out in the open there, kind of close to area 51. Nate, thanks for reading my Front Sight Firearms Training Institute review and leaving a comment! I have now been there for training 7 times and have taken 9 courses. Pahrump is definitely a growing town! Front Sight is actually about 20 minutes outside of Pahrump and there are no signs, so you would not be aware of its location unless you were going there for training. Highly recommended! Awesome post bro. The rate of people that hurt or even kill themselves because of lack of knowledge of fire arm uses is very high. Most people in the US owns a gun but most do not know how to handle it and that makes it very dangerous to have. I think anyone that owns a firearm should try this training. Nathaniel, thanks for reading and commenting on my Front Sight Review. I agree, a gun is not a toy and anyone that is going to be carrying one should indeed be trained on it’s use and safety. At Front Sight, safety rules are constantly instilled in the students. Most people quickly become very comfortable with the proper use of their firearm when properly trained. I do not own a firearm and when I’m ready to own one, I know where to get properly educated. At the moment I do not fancy owning a firearm as I have little kids and don’t want accidents around the house. Is there a way I could get a firearm and also ensure my kids don’t play with it? Louis, thanks for the comment! If you have small kids in the house, it is imperative that all firearms are securely locked any time the gun is not in your immediate control. These are many excellent gun safes that vary in capacity from one handgun to many rifles. Some of these will work open with your thumb or fingerprint for quick access only to you. With proper safety training and diligence, it is not difficult to keep your firearms secure. Kehinde, thank you for reading my review about front sight firearms Institute. If you do go and take a course there, you will not be disappointed. I have been there seven times and taken nine courses and will be going back many more times to get as much training as possible. They pack an incredible amount of information and training into four short days so you will definitely get more than your moneys worth. This one lesson I would love to learn for myself and my family security this day is becoming expensive and to learn how to use a gun will always be for your own good. Front Sight Firearms Training Institute is really doing great work in helping people to learn very important skills on the use firearms. I would recommend it also. Charles, thank you for reading my Front Sight Review. Training at Front Sight is quite affordable. They really do a great job teaching so many people on the skills and education needed to be a law abiding gun owner. Thanks for your helpful information. I appreciate your job although i have no right to buy or use gun where i live in. I think it is an essential training course in USA because there have legitimacy to owning gun as citizens. As this training course teaches how to operates and use gun safely,i think that is the fundamental lesson for gun owners. And having such a training institute is really commendable. Thanks for reading my Front Sight Firearms Training Institute Review and leaving a comment! 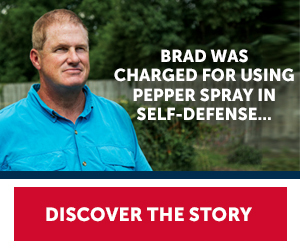 Wow, am really surprised that such a site for gun training exists. My first curiosity is that what is this site all about and getting to know about the contents and I get interest in learning. Am sure that Dave must have been in the military before (smiles). But I will like to know whether the course is available in other country other than Las Vegas. Like to see more of this article. Thank you, good job. Welldone. Kinggold, thanks for visiting my Front Sight Review post and leaving a comment! Front sight is growing and they are looking to build more ranges in the US but it may be a few years before that happens. Currently they are building a huge resort on the property so that members can stay at the range while there for training instead of traveling from Pahrump or Las Vegas every day. I can’t wait for it to be finished! I believe it is important for anyone that wants to be carrying firearms to receive professional training. It is good to know how to handle a weapon and how to operate it especially for those who are buying it to protect themselves.Front Sight Firearms Training Institute Las Vegas, Nevada is the right place to get the qualitative and professional training to get the right knowledge. Icb50, thanks for your comment! I completely agree! Defensive firearms training is a must for anyone serious about protecting themselves and their families.